The U.S. and the United Nations have long partnered with Rwanda to support peacekeeping and counterinsurgency operations across Africa, providing expertise, weapons and funding to the Rwandan military. Meanwhile, Rwanda reportedly has provided weapons and support to rebel groups that target U.N. peacekeepers, while benefitting from a massive illicit conflict mineral trade. Lima Charlie World’s Diego Lynch examines this deadly circular policy. Since the Rwandan genocide of 1994, the small central African country has become a magnet for money and weapons. Its military played key roles in the 1st and 2nd Congo Wars and still supports rebels in the mineral-rich Kivu region of its neighbor to the west, the Democratic Republic of Congo (DRC). Rwanda’s military prowess is now essential to U.S. and United Nations international peacekeeping and counter-insurgency operations. Lima Charlie World examined the support for a government which, by the account of most international organizations, deliberately benefits from the smuggling of conflict minerals. 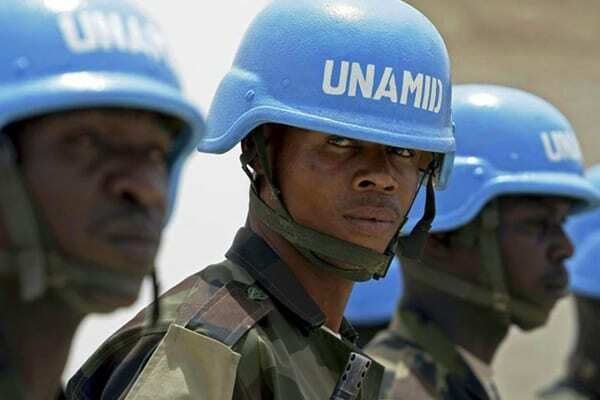 Rwanda plays an enormous role in U.N. peacekeeping. Stunningly, Rwanda, a small country of 12 million with about 1% of the African continent’s population, is the third largest troop contributor to the U.N. It is the largest contributor to the U.N. Mission to South Sudan, and the largest troop supplier for the U.N.’s Central African Republic forces. Rwanda was also a major force in the U.N.’s faraway operations in Haiti. The heroism of Rwanda’s soldiers in the U.N. is celebrated in the Rwandan press, often in breathless terms. 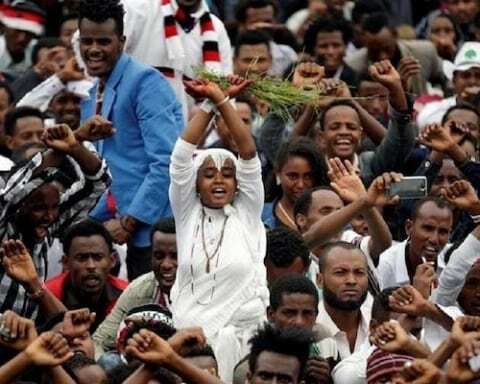 This is an astonishing turnaround for a country that suffered what was arguably one of the biggest failures of the U.N., the 1994 genocide, a 100 day period in which an estimated 800,000 ethnic Tutsis and moderate Hutus were killed. 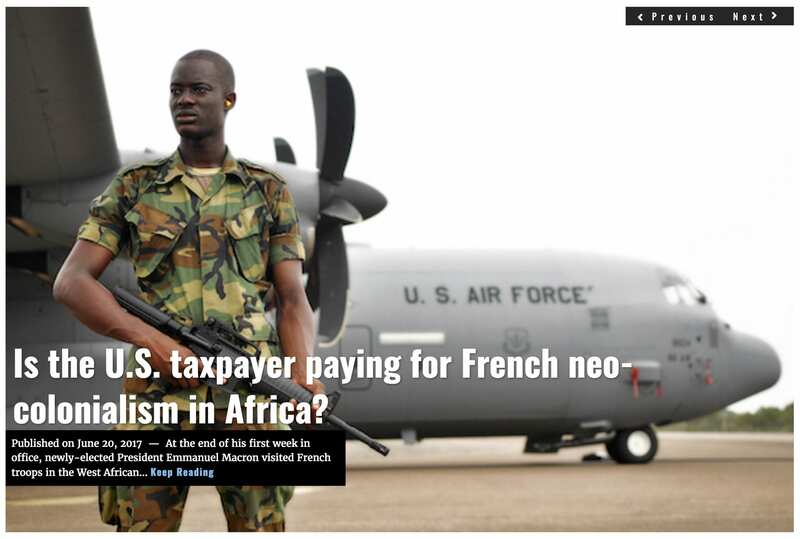 For sending its soldiers to participate in international peacekeeping operations in 2012 — “peacekeeping operations” being armies composed of armed multinational soldiers that provide security to guarantee ceasefires — the small central African country received payments from abroad equivalent to 70% of its military budget, according to Nina Wilén, Research Director at the Royal Institute for International Relations in Belgium. Since 2012, Rwanda’s military budget has doubled, and the number of Rwandan troops participating in U.N. peacekeeping has increased by around 40%. 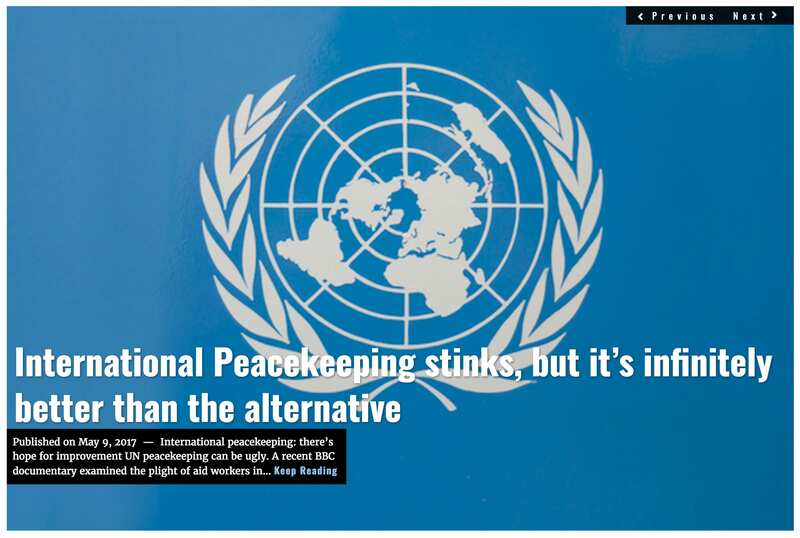 Geographically, the country is right next to the U.N.’s largest peacekeeping operation. 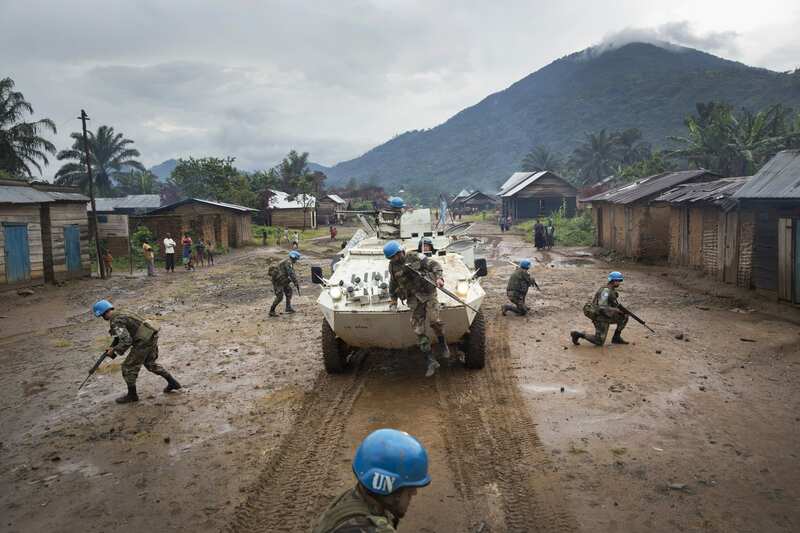 Over 15,000 U.N. troops have been deployed to the DRC, ostensibly to fight diverse rebel groups who continue to operate in the eastern part of the country. These rebels finance their operations in large part by smuggling conflict minerals to Rwanda and other neighboring countries. Watchdog groups have repeatedly caught the Rwandan government supplying weapons and military expertise to rebel groups. The ethnic Tutsi genocide, where an estimated 70% of the Tutsi population were slaughtered, and the Rwandan Civil War ended when the Rwandan Patriotic Front (RPF) overthrew the then-Hutu-dominated Rwandan government (Tutsi refugees had earlier founded the RPF in neighboring Uganda to the east). 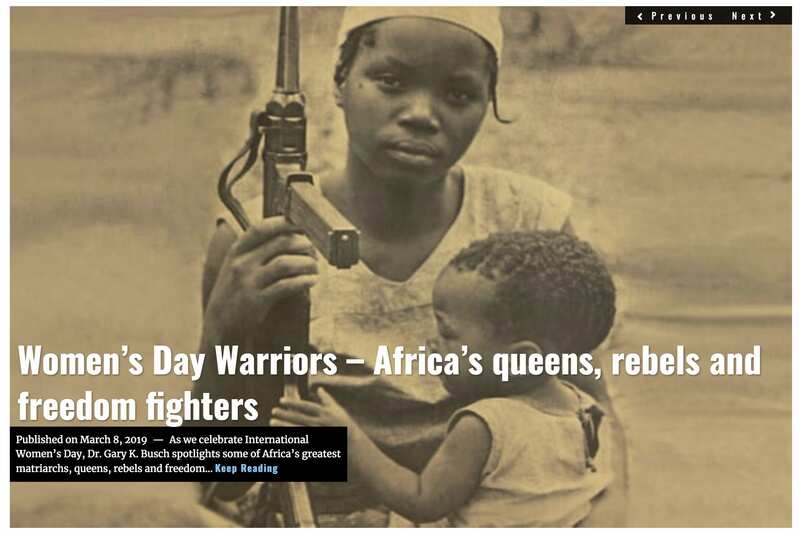 Despite the victory, all was not well across the border with the DRC to the west where erstwhile perpetrators of the genocide had formed militia groups. Rwanda, under current President Paul Kagame, confronted this challenge head on. 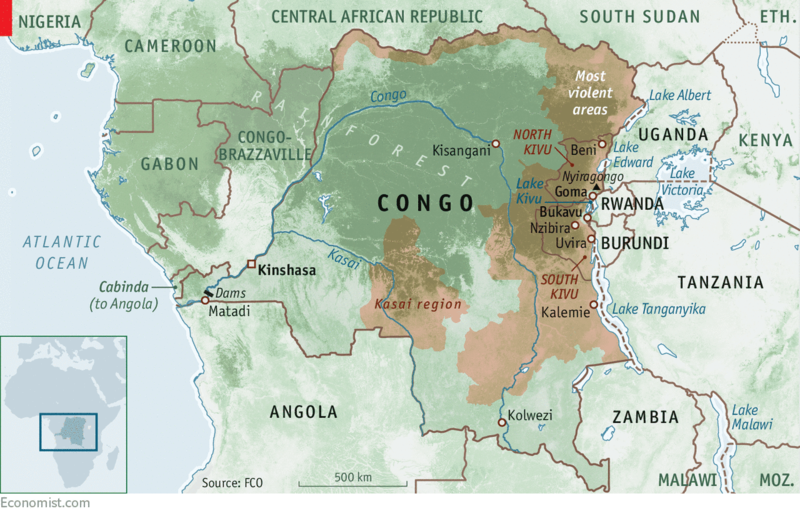 Rwanda invaded the DRC twice, in the First (1996-97) and Second (1998-2003) Congo Wars. Perpetrating these wars meant trampling U.N.-backed ceasefires. According to many accounts, the Clinton Administration’s foreign policy establishment was horrified by the failure of the United States to take action in defense of the Tutsi during the genocide. Because of this, President Clinton’s Assistant Secretary of State for African Affairs, Susan Rice, was inclined to give the new Rwandan government a free hand to do what it felt necessary to guarantee its security. Immediately following Rice’s first trip to the “Great Lakes Region” which encompasses Eastern DRC, Uganda and Rwanda, a member of her staff said: “[Uganda President] Museveni and [Rwandan President] Kagame agree that the basic problem in the Great Lakes is the danger of a resurgence of genocide and they know how to deal with that. The only thing we [the U.S.] have to do is look the other way.” According to other sources, Secretary Rice said this herself. On top of military experience, peacekeeping (essentially armed Rwandans in internationally recognized clothing) relieved pressure from yet another challenge: the nation’s military. Still flush with the excess manpower of the civil war, it needed to be scaled down to a financially sustainable number of soldiers. 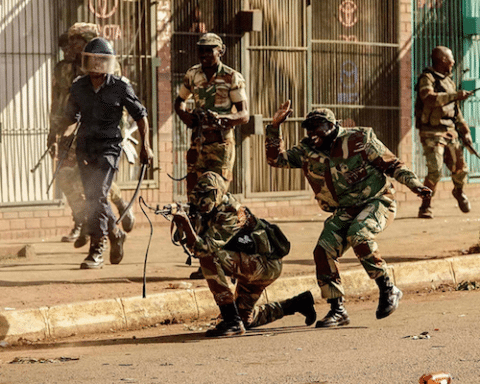 Note, though, that reducing the size of a military has destabilized many an African country as freshly unemployed soldiers have been known to respond violently to sudden unemployment. 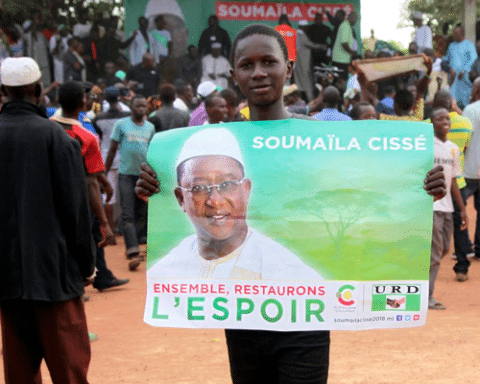 (Read Lima Charlie’s coverage of cyclical unrest in the Ivory Coast). Even with thousands of its soldiers and police deployed with the U.N. every year, thus lightening the nation’s financial load, Rwanda expends great effort on the demobilization of its former soldiers. Through the Rwanda Demobilization and Reintegration Commission, which the U.N. also supports, the Rwandan government has demobilized some 70,000 former soldiers. 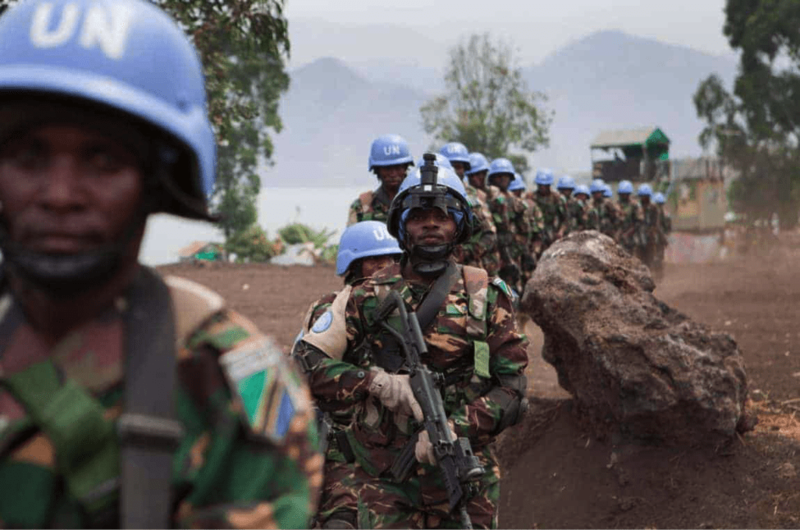 The money that flows to the Rwandan government in exchange for assisting peacekeeping is but a fraction of the overall assistance offered from abroad. Rwanda receives in excess of $1 billion annually, a not insubstantial amount for a country with a GDP of less than $9 billion. For example, the initial participation of Rwanda in U.N. peacekeeping operations quickly resulted in an expansion of military assistance from the U.S. Thus, gaining this foothold in 2004, U.S. support for Rwandan peacekeeping expanded. The U.S. military’s African Peacekeeping Rapid Response Partnership (APRRP), a program that continues to ease the logistical burden of peacekeeping by utilizing AFRICOM assets, costs $100 million plus annually. Rwanda joined the U.S.’s Africa Contingency Operations Training & Assistance (ACOTA) program in 2006, a program for training African troops. According to the U.S. Ambassador to Rwanda, the majority of the Rwandan Army has received training through this program, which the U.S. continues to fund by tens of millions a year. However, Rwanda’s claim that it withdrew militarily from the DRC in 2003 was less than met the eye. In 2012, the U.N. issued a report laying bare Rwanda’s covert support for “M23” rebels in the DRC. The M23 rebels (one rebel group among many in the eastern DRC ) consisted of mutinying DRC soldiers who claimed they were displeased with the implementation of a 2009 peace deal. Reuters broke the story, reporting that Rwandan support for the rebels, which were targeting U.N. peacekeepers, included both weapons and military experts. The report stated that Rwanda had effectively “annexed” Congolese territory, which furthered Rwanda’s access to the region’s mineral wealth, including access to conflict minerals. The U.N. was then obliged to expend blood and treasure against a group that had received the support of the Rwandan military, a military that was already receiving U.N. support. According to subsequent 2013 investigations by Global Witness, the minerals were smuggled into Rwanda, Burundi, and Uganda, and then exported as if they had been been mined in those countries. As international outrage mounted, international donors started to cut off aid to Rwanda, and a year later the U.S. government issued sanctions. However, Dr. Gary Busch, Lima Charlie World contributor and long standing academic observer of Rwandan Affairs, stated that the 2012 international incident had a limited impact on Rwanda. “The U.S. State Department, Department of African Affairs, was backing (Rwandan President) Kagame against (DRC President) Kabila,” said Dr. Busch, citing the roles of Susan Rice and Jendayi Frazer. In 2012, Foreign Policy reported that when France’s U.N. ambassador pushed Susan Rice, who was then back in government as President Obama’s U.N. Ambassador, to act on the 2012 U.N. report, she dismissed the concerns. 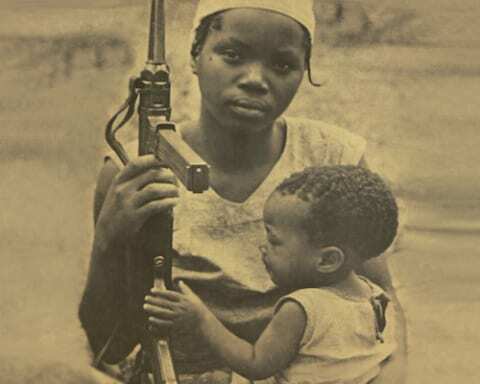 “[I]t’s eastern Congo. If it were not the M23 killing people, it would be some other armed groups,” Rice said, according to FP. The FP piece also outlines in detail how Rice and the U.S. delayed publication of the U.N. report and influenced the language of the report to downplay Rwanda’s meddling in the eastern Congo. In response to international pressure, the Rwandan government implemented reforms, and declared itself free of conflict minerals in 2015. Nonetheless, a boon of artisanal gold production reached $400 million in eastern Congo in 2015, of which 98% was smuggled out of the country. 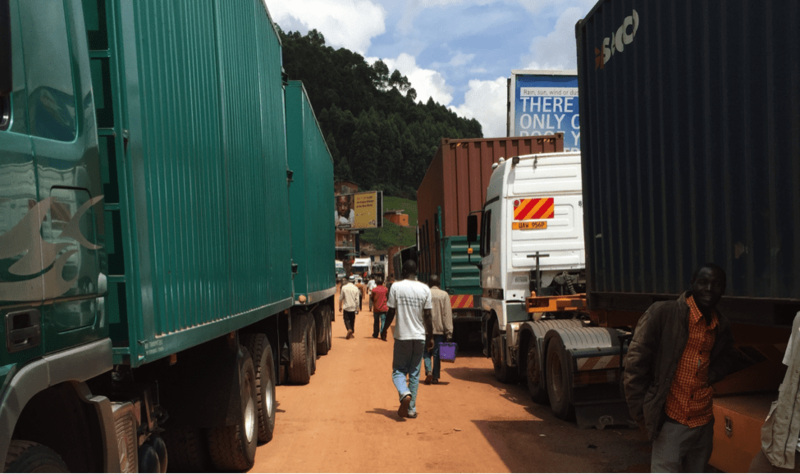 In 2017, a Belgian company set up a gold-trading facility in Rwanda moving 1 ton ($500 million) a month. The company, which had also set up a facility in Uganda, was later found to be trading conflict minerals. Again, the Rwandan government reformed, and declared itself free of conflict minerals in 2019. 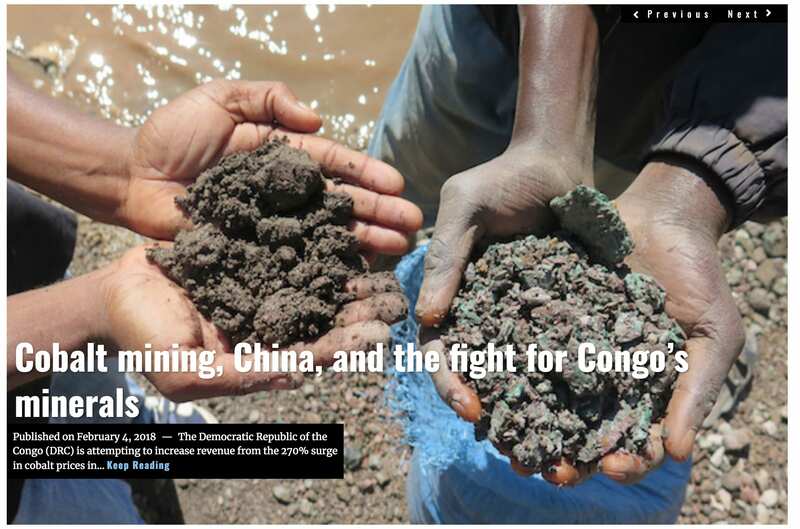 The most prominent NGOs working on conflict minerals doubt this claim on the part of Rwanda. Frazer, the Bush Administration’s Assistant Secretary of State for African Affairs, who had succeeded Rice, would eventually work lobbying for the Whitaker Group, which had been contracted by Rwanda’s long-term ally Uganda, and remains close with that organization today. President Trump’s current Assistant Secretary of State for African Affairs, Tibor Nagy, doesn’t appear to be rocking the boat, but who knows what is happening behind closed doors? The Jewel of Sub-Saharan Africa? Rwanda has been transformed from the shambles it was in following the genocide. 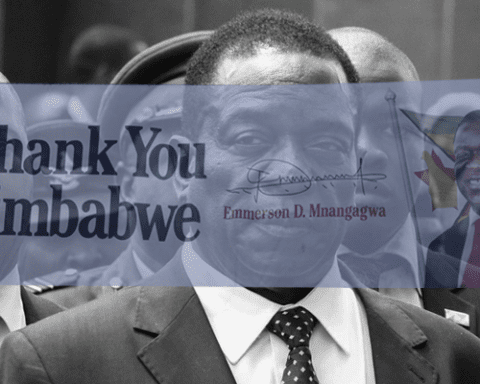 The country has posted growth rates averaging 7-8% between 2005 and 2018, and the poverty rate has fallen precipitously. The 2018 meeting expressly sought commitment on the part of U.N. members to “enhance” funding for AU peacekeeping. The AU is unable to rely on member states to secure funding, with just 2.3% of its funds coming from African countries. This can result in inconsistency in payments to troops in the field, with some troops going months without pay, and even reliance on bailouts from the E.U. Shoring up AU finances is a key issue for Rwanda, which is further compensated for contributions to the AU peacekeeping operations in Darfur, Mali, and Central African Republic (CAR). 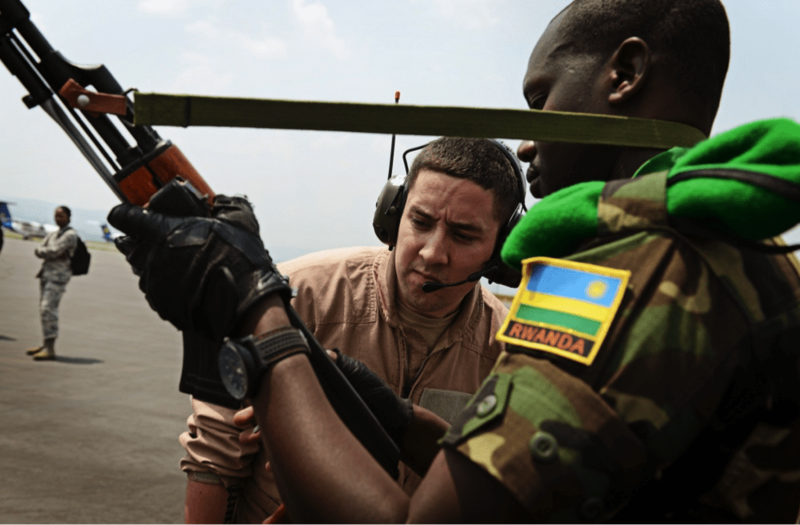 How have decades of U.S. and U.N. military support transformed Rwanda’s military? Kagame trumpeted Rwanda’s strength while attending the third annual “Hard Punch” military exercise in 2018. Hard Punch was as much a training exercise as it was a showcase for brand new Chinese military hardware. “Rwanda’s military advantage compared to some of its neighbours – while by no means overwhelming – is driven by the quality and capability of its troops, rather than any numerical or quantitative superiority,” described Anderson. Building qualitative superiority requires superior weaponry. With the international donor footing a large portion of the Rwandan military’s payroll, logistics and training bills, Rwanda has been importing state of the art Chinese hardware. The weapons on display at Hard Punch were new imports from the Chinese defense company Norinco. China has been a long-time arms exporter to Rwanda, and Rwanda is presently in the process of acquiring the Sky Dragon 50, a brand-new surface-to-air missile system. Meanwhile, Russian diplomats have been sniffing around, trying to drum up business for Russian arms manufacturers, but have not yet made substantive deals. Russia’s nuclear industry has had better luck, though. The Russians and Rwandans have reached a nuclear technology sharing agreement. The country’s capital, Kigali, is the jewel among Kagame’s accomplishments. It is peppered with government development projects. A $300 million convention center, an $800 million airport, a 1,200 room 5-Star hotel, luxury apartments, the government sponsored airline RwandAir, new roads, etc., all contribute to an ambitious goal – to transform a small landlocked African country best known for a genocide into a world-class tourist and conference destination. International observers now question whether Kagame is pushing his luck and that of his countrymen. At question is whether this remade Rwanda will diversify its economic base, offering jobs to everyday Rwandans, and whether growth is sustainable. The economy is characterized by monopolies supported by government contracts, and owned by the country’s ruling party. According to the International Monetary Fund, in 2017 the government’s debt to GDP ratio rose to 40.2%, a 25% rise since 2012. The IMF is warning that this outsized ratio could spell trouble for Rwanda’s economy in 2023 when the debt starts to mature. David Hambara, President Kagame’s former economic advisor, has turned into one of the most strident critics of the Rwandan government and frequently sounds the alarm about the economic future of the country. Add to this the fact that the current U.S. administration has cut international aid and support for the U.N., is pushing for further cuts, and is trying to cut imports from Rwanda to the U.S. It is clear that Rwanda is in hot water. If the IMF and Hambara are correct, Rwanda’s debt load will soon place the country under economic strain. Militarily strengthened by decades of U.S. and international support and Chinese arms imports, a country with a history of fencing its neighbors’ natural resources will need to find new revenue streams … unless the blocks of empty luxury condos in the capital actually fill up. Lima Charlie World reached out to the Permanent Mission of Rwanda in New York for comment on this story, but received no reply. I found your blog site through my social media– it’s now in my bookmark list!